Finished the paper! 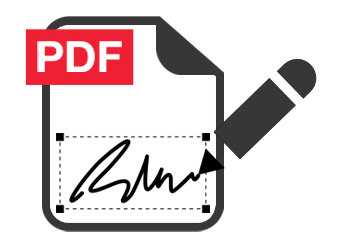 Switch to a secure digital signature for your documents and contracts with Expert PDF! In one click, E-Signature allows you to exchange documents, legally and securely, while ensuring the integrity of an electronic document and authenticating the author. Thanks to Expert PDF your e-signature is legally admissible. An Electronic signature is a digital version of the handwritten signature. It enables authentication of the author and ultra-secure use of the e-signature via cryptography. Thanks to the Expert PDF software you can create a personalized signature and add your signature, or multiple signatures, to any type of document to send it digitally, leaving behind the paper format for good. Invoices, contracts, forms, tax returns, administrative documents, etc. Increase your productivity by switching to the E-signing of your documents and contracts.